"A new touchscreen smartphone from Korea's LG is due to be released soon, according to the latest web leak. 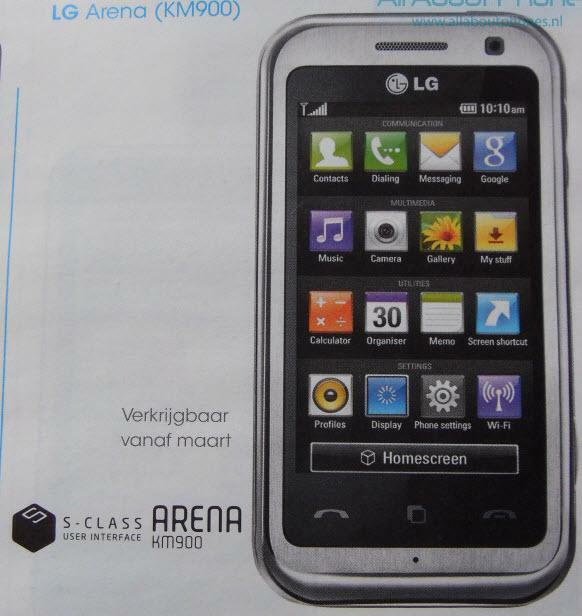 The LG KM900 Arena has shown up in the Netherlands on a brochure from local retailer Phone House. The handset, which has a strong resemblance to..."